Ganesh Chaturthi was celebrated to mark the advent of the master of all knowledge, intelligence and wisdom, Lord Ganesha. 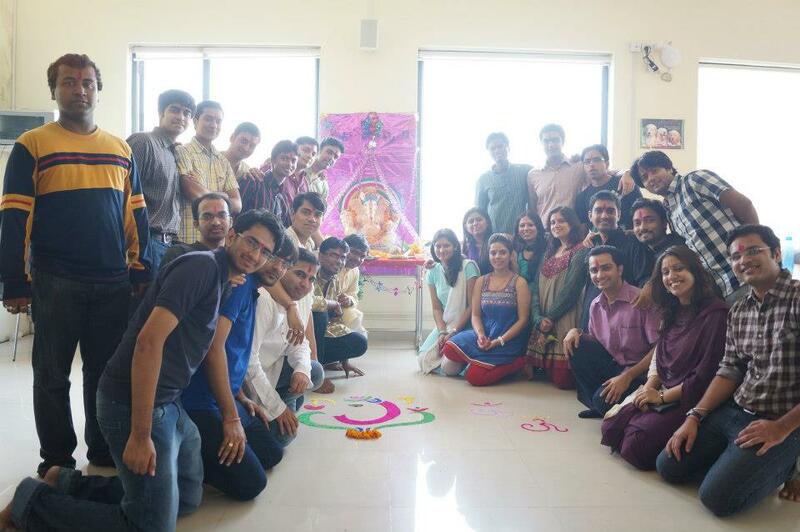 In the morning, the students chanted in chorus mantrams and hymns and later devotional songs adoring Lord Ganesha. 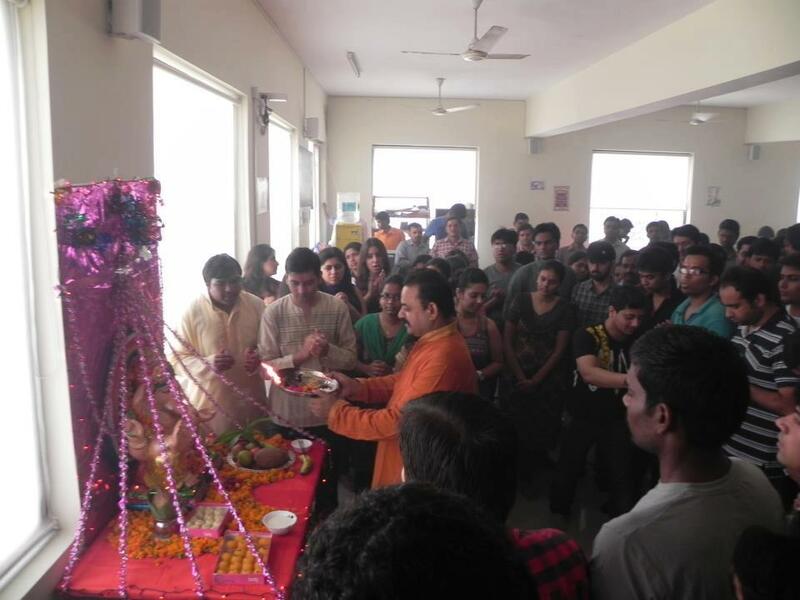 The whole campus joined hands in the devotion of Modakraj and “prasadam” and sweets were distributed post the morning prayer. The festival was celebrated for a couple of days. On the final day, the statue of Lord Ganesha was taken out in a colourful and vibrant procession. 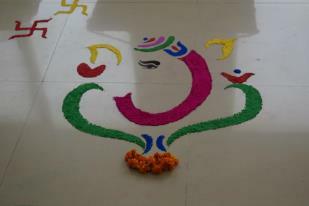 The boys took out the statue of Lord Ganesha on this day traditionally immersing the idol. Last month, I promised to share my perception on Collapse of Indian Power Grid on 31 July, 2012. Perhaps the largest electrical blackout in human history happened on 31 July, 2012, paralyzing life of 10% of world population (50% of Indian population-nearly 640 million people), bringing to a grinding halt the essential services comprising hospitals, water supplies, local transport, railways etc. 20-Indian States plunged into darkness. How and why it happened? I remember an event several years ago. My neighbor came down to join me for the evening walk. I told him that he had perhaps forgotten to switch off his light in the balcony. He retorted “So what I am paying for it”. It was a hard time for me to explain him that “paying for it” was not enough to make him morally free. In a power deficit situation, if he puts off this light someone else will be able to light a bulb in an energy starved area. The same psychology seems to be working at the state/ organizational level “What if we overdraw 3,000 MW, we pay for it besides penalty”. Greed with arrogance! Who bothers if that results in frequency dip, overloading and tripping of lines cascading right up to the source of power. Unfortunately our power pool has a very poor content of Hydro-the best known frequency controlling stations, which can be loaded from zero to full capacity and vice versa in a fraction of a minute to bring the frequency under control. The situation after 65 years of independence should not have been so bleak. Pandit Nehru considered hydro dams to be “temples of modern India”. During late 1960’s, hydropower provided nearly half the country’s electricity. If more of Nehru’s “temples” were constructed, India would not have been in such a dire situation. We have reached a mind-boggling Hydro content of merely 20% losing sense of proportion down the line. With a judicious Hydro : Thermal mix, there would have been no peaking shortage under the same MWs installed, under the same investment. The average cost of energy would have been 60% of what it is today. Lack of vision, populist tone of much of country’s politics, social and environmental activism, rampant corruption, decision-making at a dismal pace, and weak law enforcement has ensured hydropower contributing to only about 20 percent of the country’s present electricity generation. On top of it Power Ministry announced a reduction of 2/3rd of the planned hydropower generating capacity for the next five years lowering it from 30 GW to 10 GW because of regulatory delays, problems with land acquisition and poor planning practices. That is the future of hydropower !! We can create 30,000 MW thermal capacity lying idle for want of fuel, but can’t promote hydro with assured indigenous supply from nature’s hydrological cycle!! How will energy security of our nation be achieved? Incidentally, Bhutan’s Hydro bailed out India to a considerable extent in need of the hour. Hydro holds the key to energy security 24×7. On the front of grid discipline, as we have empowered no one to disconnect a farmer’s agricultural pump, even if it is a non-ISI marked working at unbelievably low efficiency, not capacitor mounted, not accountable for payment despite over-flooding his fields spoiling his own crops; no RLDC is empowered to disconnect any DISCOM even if it is overdrawing, breaking all the rules. Even DISCOMs don’t have smart grids to “island” themselves as did CESC during the collapse. Delhi region should have self-sustained itself islanding with Dadri, Badarpur and Baira Siul. All the IT interface and automation with systems like SCADA envisaged under R-APDRP seems to be lacking implementation. Power sector’s problems such as above have roots in “Ethics & Ethos” rather than apparent “Technical & Financial” issues. 1. “Greed with arrogance” becomes the cause of total disaster. Mahatma Gandhi said “There is enough in nature for man’s need but not enough for man’s greed”. 2. Never lose “sense of proportion” to lose the balance heading towards disaster. 3. Nation is above the organizations which serve local cause. 4. We should learn to “empower the right entities” and “be smart” for self-protection and self-sustenance. 5. No sector, no system can become exemplary without “executive will”.